42 Inch Arc Promotional Windproof Safety Auto Open/Close Umbrellas are coming in Khaki color and they are featuring a reflective material surrounding its canopy which delivers optimal visibility while walking with these custom umbrellas. 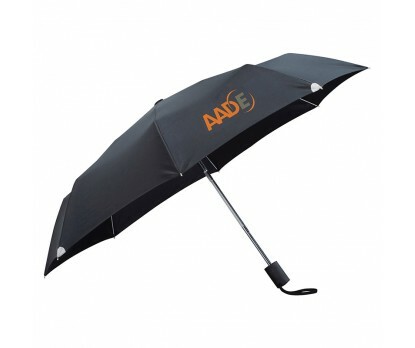 Polyester canopy, windproof frame and matching color case are also features that make this custom auto open/close umbrellas a good choice. Three-section sturdy hexagonal folding metal shaft and 5.00" H x 7.00" W imprint space are other notable features. Order these custom products right away to get our free artwork design and free online proofs facilities. 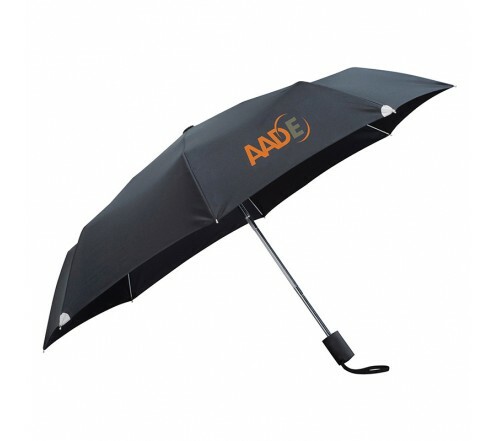 Request a quote to know the value savings that you can avail on bulk orders of 42 Inch Arc Promotional Windproof Safety Auto Open/Close Umbrellas.